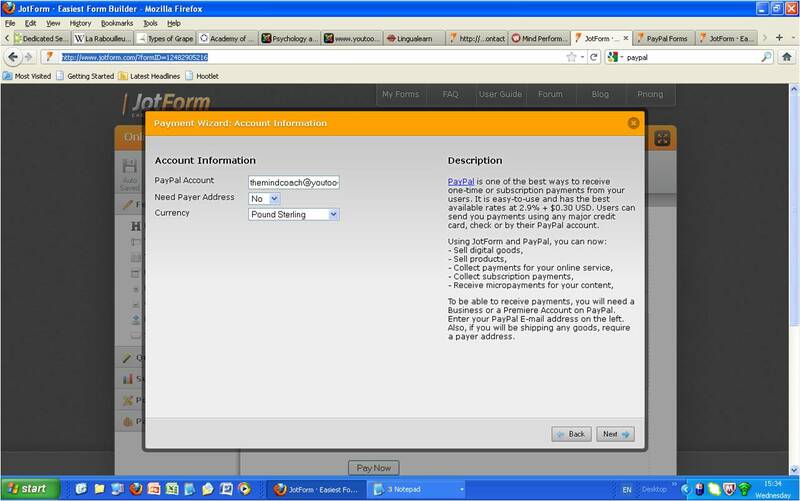 I'm not sure what email address to enter when setting up a paypal payment page in the wizard? Do I enter the address I type for when I am logging into my own paypal account (which is a yahoo account and I wouldnt want clients seeing that at the top of the paypal page...unprofessional) or is it the email address where I would receive confirmation payments for my products etc? The e-mail address you should enter in our Paypal payment tool is the address you use to log in to Paypal. If you would like your business name instead of your e-mail to appear at the top of the Paypal transaction page, you'd have to upgrade to a Business or a Merchant account. If you're okay with another e-mail address getting displayed, just add a new e-mail to your Paypal account and then set it as default. For more information about this topic, please contact Paypal Support. The primary paypal address is different to the sign in, and i would like to keep it that way. Is there no other option? Unfortunately, apart from upgrading your account to a Pro account like what my colleague Neil has stated earlier, there is no other workaround to it. We apologize for the inconvenience.